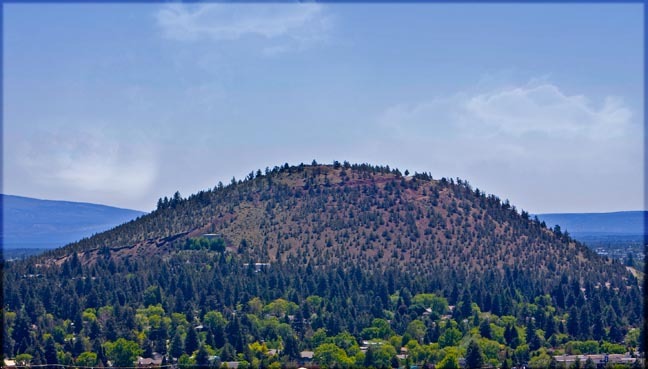 In the middle of Bend, Oregon stands a mountain, an extinct volcano in fact, Pilot Butte (AKA "The Butte"). Rising 500 feet, it gives opportunity for fantastic digital landscape photography. On a clear day you can see to California. Bend, Oregon is one of the only cities in the country with a volcano inside the city limits. 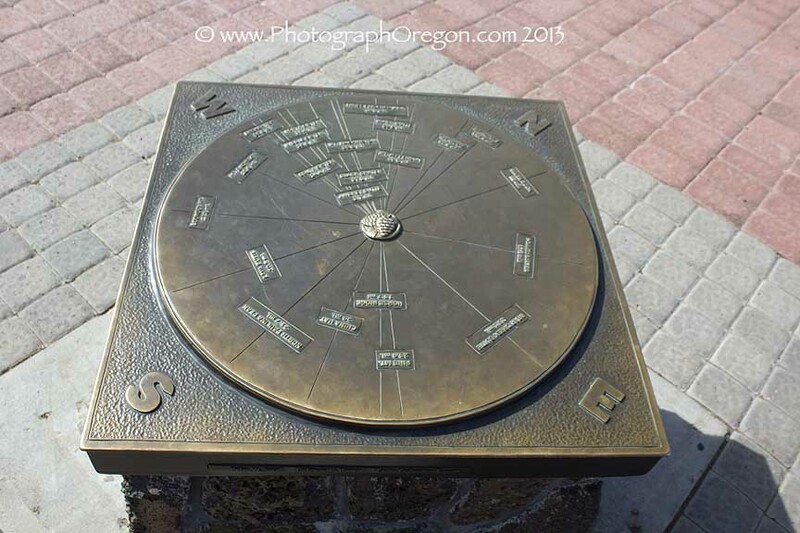 At the top, the scenic viewpoint, acquired by the city in 1927, offers views of the Cascade Mountains. Three Sisters, Broken Top, Mount Bachelor and six other peaks, To the north-east, Smith Rock and on a really good day, in the south, Mt. Shasta, in California. To the south, on a clear day you can see Mt. Shasta in California. There are frequently some great dramatic skies and this is definitely the location to practice your panorama photography and HDR photography techniques. ...and some great foliage color to go with those skies. Way out there is my brother's house. Can you see it? Sunset it the magical time here. You can find lots of people gathered enjoying the cascades in full color. 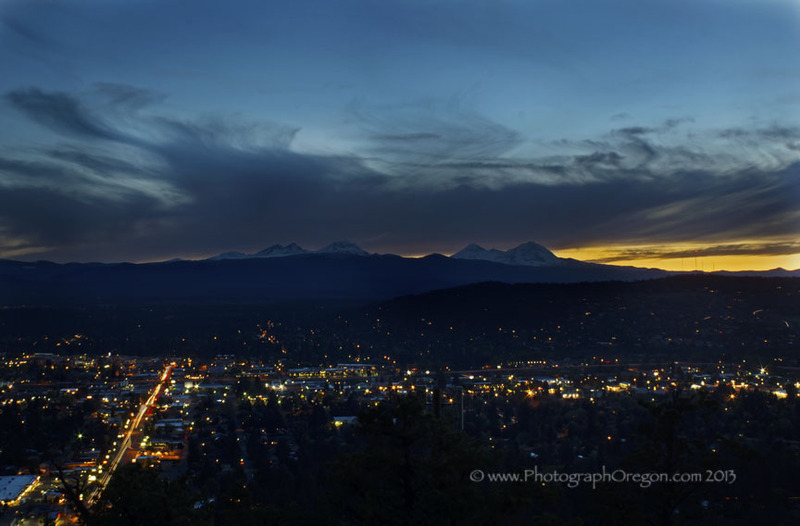 Twilight shows off the city to the west below the Cascade Mountains. 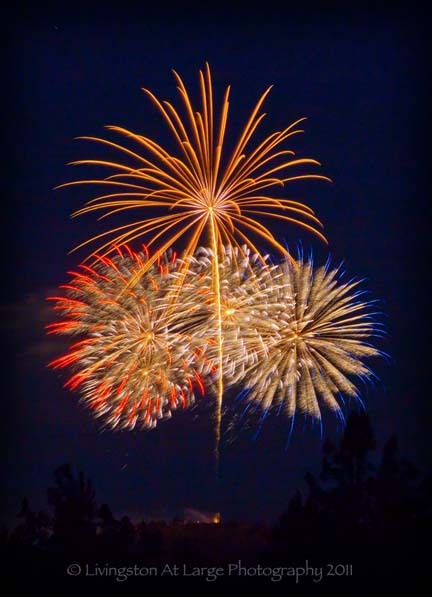 The Butte is the local point for the annual fireworks, which usually leads to the “The Butte on fire” after show. There are many good vantage points around town to get some great shots of these fireworks. In the winter after a certain point, the road is closed and you can only accesses the summit on foot. We all rejoice when the road re-opens!